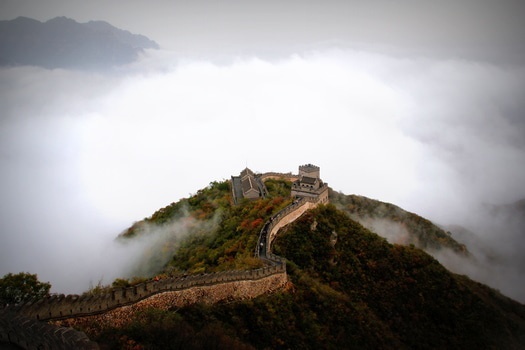 Travel to Beijing, Dalian, and Hohhot, China in this six credit EDU 579 course. Students will gain an invaluable perspective as they are immersed into Chinese culture through exploration, volunteer opportunities, and culturally comparative instruction. With a focus on refugee and immigrant populations, students will develop understanding, empathy, and insight into the best ways to support and empower these communities. The trip will start in Beijing, where students spend time exploring through guided cultural activites and self-guided exploration, including a community service project. The group will take an overnight train to the next stop, Dalian and Dongbei University (DUFE). DUFE is the school the program has connected to through the Confucius Institute, and while at DUFE students will get basic language and cultural training, along with some sightseeing. Next, the group will fly to Hohhot to explore Mongolia. The group will return to Beijing and fly home from there. Dr. Julie Alexandrin is an Associate Professor of Abilities and Disabilities Studies and Department Chair for Teaching and Learning. Julie first went to China in 2015 with students and enjoyed it so much she is excited to go again! Julie created the courses to go along with the trip to China, for students to use the experience to better understand and support youth who are immigrants or refugees. By being put in an environment which is unlike one students have experienced, students gain incredible insight and understanding. Dr. Alexandrin has been at USM for 10 years, and teaches both graduate and undergraduate courses. She believes that understanding the different perspectives of youth is a crucial skill when working with them. Julie started her teaching in a middle school in Milwaukee, WI, then taught in a rural school in upstate NY, and last worked with youth throughout CT, in a community based school. Working now at the college level, Julie uses her past experiences to support her students in being the best educators for all youth they can be. The other exciting aspect of the China Trip in 2017, is that Julie will be co-leading the trip with Barb Sorum, whom she has traveled abroad with before and brings a wealth of knowledge of working with immigrant and refugee youth. The approximate program fee is $2,750 + airfare. The cost of tuition and fees at the in-state rate are in addition to the program fee.The program fee includes accommodation, airfare, scheduled in-country travel, site visits, field trips and iNext's comprehensive insurance plan. Six credits of tuition and fees for undergraduates or six credits for graduate students are an additional cost. Not included in the program fee is the cost of tuition, fees, books, academic supplies, international airfare, and some meals or other personal expenses. All participants on USM travel programs receive the in-state tuition rate regardless of residency. USM's Office of International Programs offers small scholarships for students enrolled in summer travel courses. Scholarships are competitive and awards are up to $500. The application deadline is March 7, 2016. Students applying for the International Summer Scholarship must apply to a travel course before or at the same time as submitting a scholarship application.